Orthopedic oncology is a small segment in orthopedics. Malignant and benign tumors are formed in bones and connective soft tissues which arises the condition of orthopedic oncology. This can lead to 3 main types of bone cancers which are osteosarcoma, Ewing’s sarcoma, and chondrosarcoma and sometimes requires reconstructive surgery. Chemotherapy and radiotherapy treatments are not preferred choices in these cases of malignant bone tumors. Globally, development of efficient and advance technology and rapidly aging population with increased risk of developing cancer are the prime growth drivers of global orthopedic oncology market along with heredity disorders retinoblastoma, tuberous sclerosis, etc. 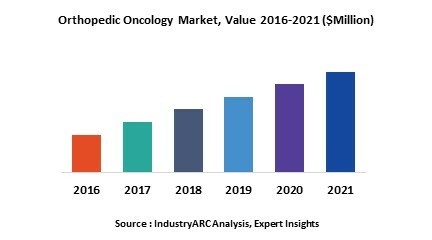 In addition, emerging economies such as China, India, and others, will add more worth and create new opportunities for global orthopedic oncology market share. Expensive and surging medical treatment prices for musculoskeletal oncology disease and unawareness among the population regarding the correct treatment therapies are among the factors which restrict the market growth in the near future hindering the trade value. North America and Europe are forecasted via acute analysis to dominate the global market share owing to the surge in the prevalence of cancer and musculoskeletal related disorders. The Asia Pacific showcases tremendous growth opportunity for orthopedic oncology market owing to the rise in cancer incidents and a rapidly aging population. Adding to it are macroeconomic factors such as FDA approvals which are also expected to increase the rate of adoption for devices in the developed countries and drive the demand. This report identifies the Fine chemicals market size in for the year 2018-2023, and forecast of the same for the year 2023. It also highlights the potential growth opportunities in the coming years, while also reviewing the market drivers, restraints, current trends, growth indicators, revenue generating market dynamics, challenges, market dynamics, industry insights, competitive landscape, and other key aspects with respect to Orthopedic Oncology market. This report on global Orthopedic Oncology is segmented on the basis of Orthopedic Oncology application outlook, end-use industries using Orthopedic Oncology for a wide range of end-use applications and market size in various geographical regions. This report has been further segmented into major regions, which includes a detailed analysis of each region such as North America, Europe, Asia-Pacific (APAC) and Rest of the World (RoW) covering all the major country level markets for Orthopaedic Oncology in each of the regions.